Treetops is a family run business large enough to be professional but small enough to care. We are located on the outskirts of Derby set in the beautiful Derbyshire countryside with easy access from Derby, Alfreton, Ashbourne, Belper, Ripley,and Ilkeston. We also regularly have customers that come from much further a field that have been specially recommended to us and may be visiting local attractions such as Alton Towers or travelling from a different area and using East Midlands Airport. Treetops has been under the same ownership for over 25years and you can therefore be assured that your pets are in experienced and capable hands. Our kennels and cattery occupy the same space as our home and in many respects there is no distinction. 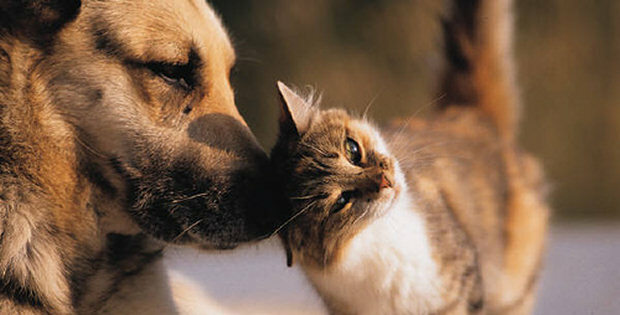 We are always close at hand to cater for your pets every need and able to create a home from home boarding environment. At Treetops our business philosophy is quite simple, we all enjoy what we do and care passionately about your pets in our care. Every member of our dedicated and well trained team loves working with animals and considers themselves privileged to be looking after such wonderful guests. We hope our customers recognize our dedication and can see how happy their pets are when they stay with us. Yes, we believe a wagging tail and an excited arrival is testimony indeed to the quality of our care and the reason why many customers continue to entrust us with their beloved pets year after year.